Herbal stress relief for stress, indigestion, insomnia, calming. 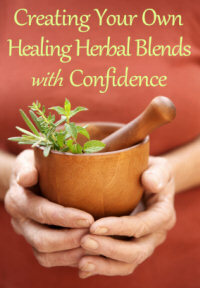 We love using these herbs to relax, unwind and find a peaceful balance. The herbal stress relief described on this page will help you to find inner peace through calming the mind and relaxing the body. Herbs for Relaxation has good suggestions for more herbs for relaxation that you can use together with those below. The name for this relaxation herb means to "lull". It is used to treat colic and ease wind and digestive discomfort in babies, as well as to calm them. Dill is rich in volatile oils that stimulate the movement of the digestive system and relax the stomach.Digestion is a key factor in maintaining good health and a sense of well-being. When your digestion is working properly and without discomfort, you feel well. However, niggling pains in the stomach and gut can make you feel really grumpy. At such times, drinking tea made from crushed seeds of dill and a little honey will comfort and soothe your body and mind. Catmint has a gentle effect and is an excellent remedy for babies or children who have trouble sleeping. Catmint is a long-standing treatment for many conditions. It is a traditional cold and flu remedy which cools fever and calms trembling. As a carminative (expelling gas from the digestive system) with antispasmodic properties, it can be used like dill for gastric upsets and flatulence. It is also an astringent, so is a good remedy for diarrhea. It also has a calming and sedative effective on the nervous system. In our list of more herbs for relaxation, you can use catnip very effectively to treat restlessness, colic and nervousness. Roses have long been praised for their scent and romantic virtues, but the herbal use of roses has been neglected. The high price of the flowers and the difficulty in obtaining the tincture has been partly to blame. But now you have no excuse - you can even grow your own roses to use for herbal stress relief. The rose benefits the reproductive system and can be used to treat infertility, impotence and low sperm count. Balancing the hormonal functions, the rose encourages a normal menstrual cycle and eases painful periods. Rose also relieves emotional difficulties around menopause. If you are a woman that feels insecure about your sensuality and lack confidence in loving and intimate relationships, include rose essential oils in your daily routine. Cooling, calming, stabilising, and restoring, the rose helps you find peace within... Making it an important herb for relaxation and holistic health. Avoid using during first three months of pregnancy.